On Thursday, March 31st, 2016, Hughes/Stanley County Emergency Management, in conjunction with the National Weather Service will be holding severe weather awareness training. Training will begin at 7:00 pm and last for approximately two hours. What to look for when severe weather is developing. How to understand cloud formations. How weather spotters help support the public. How to contact the weather coordinator. 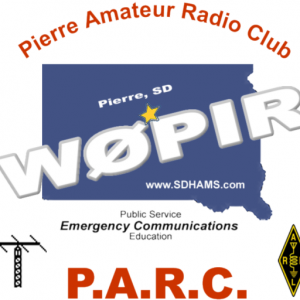 This is just a friendly reminder that the PARC monthly meeting will be held this thursday night, March 10th, at fire station #4 in Pierre. We will have some guests who are interested in weather ballooning and would like to hear more about ham radio and APRS.